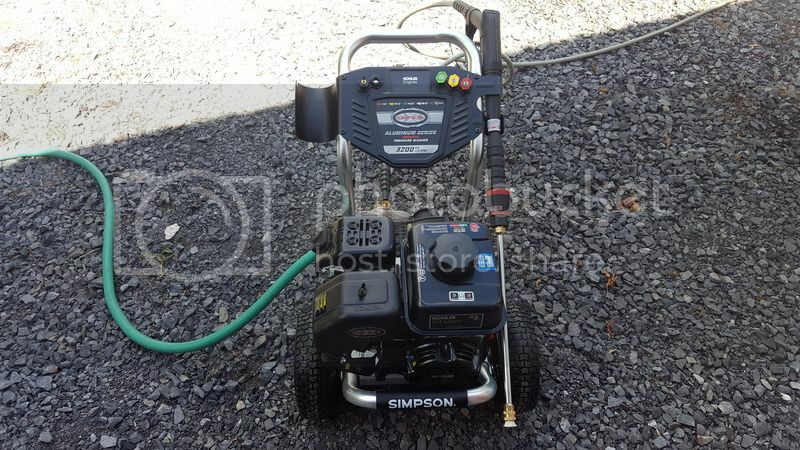 This is my new Simpson 3100psi pressure washer, This has a KOHLER engine with the better pump and has a real nice feature ,it has a Adjustable wand that allows you to change spray pattern without changing the nozzle tip. used it for about 10 hours now, Very happy . pump. 3400 psi. I have used it to wash cars so far. Going to do the driveway and sidewalk this week. So far so good, no problems. I did a lot of research and thought the Simpsons were the best. Just my opinon.